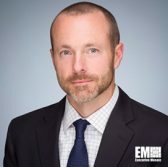 Rob Sherry, senior director of federal health care at VMware, has shared lessons that he believes information technology professionals could learn from the Defense Department’s project to modernize the military electronic health records system, Fedscoop reported Tuesday. He told the publication in an interview IT leaders should help end users adapt to EHR system changes and identify methods to centralize and manage quality of data. “When you look at different systems, whether they are using the same platform, or crossing different platforms, when the data comes to them it should be usable and will have an impact on how the provider uses that data,” Sherry added. He recommended that organizations plan the deployment of health IT technologies and care models ahead, according to the report.